If you want an in-depth Start Homeschool learning course, then Homeschooling ABCs is for you. This course is set up as a 26 week class that you can work on at your own pace over the course of 6 months. They teach you how to get started, how to organize your homeschool, how to evaluate teaching and learning styles, and how to find curriculum and resources. They even give you sample letters you can send to your school district. Homeschooling ABCs gives you lots of information and help for the money. There are weekly assignments, but they are not difficult. They are just designed to help you on your way. 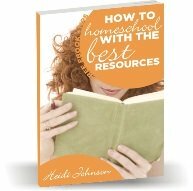 You will find out what supplies you need for homeschooling along with charts you can download and lots of samples from various curriculum publishers. This course is not only for people who want a course on how to start homeschool, but also for any homeschooler that might be overwhelmed or even burned out. The course helps you work on your routines for the day and even gives you Bible and character training lessons and copy work templates that you can use with your children. Here's what Terri says about her course "Don't let self-doubt, or lack of experience, rob you of the best first year possible!" "All you need are a few basic "how-to's" and your homeschool can be up and running in 48 hours or less. Plus I'll send you weekly assignment for the next six months that will help you step-by-step to turn this year of homeschooling into the best year ever!" You receive over $275 worth in curriculum when you order this course. The author and her husband actually publish homeschool curriculum, so they KNOW what they are talking about. This course will dramatically help you shorten your learning curve when it comes to knowing how to homeschool. Instead of muddling your way through your first year, you can be well prepared, energized, and aware of what you need to do when roadblocks come into your path. You can meet Terri and watch a short video of what you will receive in this course on youtube. The course is designed to be used one lesson each week over the course of 6 months. The cost is just $10 a month during the course of these 6 months - very affordable! There is even a 100% money back guarantee. You can order the course by month or get it all at one time. I was impressed with the amount of information that was included in this course. I even learned a few things, and I've been homeschooling for a long time. 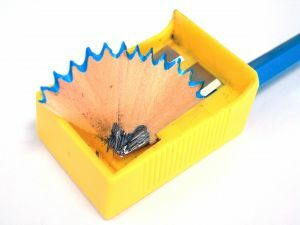 Ideally, someone would want to take this course the year before they start homeschooling, but this can still easily be done your first, second or tenth year of homeschooling. You can use this course as much or as little as you want.